The Catskills wouldn't be complete, without having Ole' Rip Van Winkle Faded back to watch over the Mountains once again. Many Artists stood here and painted these Beautiful Kaaterskill Falls. 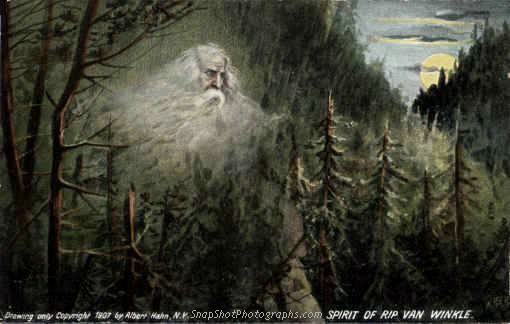 And chances are very good, that this rendering of Rip Van Winkle, was from this spot. Many a time, I've personally hiked this area. Climbing out to the ledges where only Ole Rip would go. Some borrowed history about a story that most of us grew up with. "This story takes place just north of Palenville New York in the clove of Sleepy Hollow (not to be confused with Sleepy Hollow New York). The story is about a lazy man who hikes up in the Catskill Mountains and falls asleep for 20 years. Upon waking and returning to Palenville, NY no one remembers him and everything has changed. This is a common story told to children all across the United States." 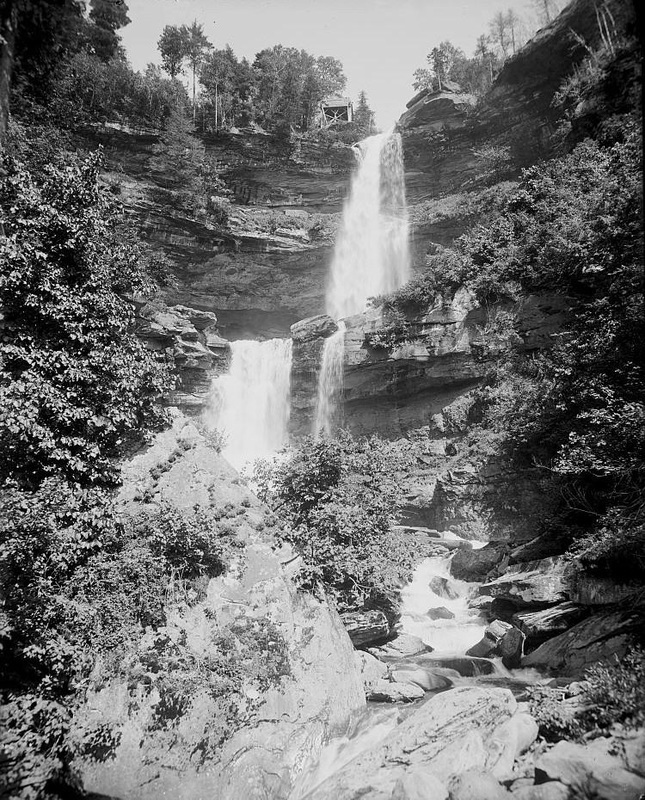 While standing below the Kaaterskill Falls, the shutter clicked sometime in the years 1895 and 1902. Many a time, I personally visited here. "Kaaterskill Falls are the highest in New York State and Spectacular! 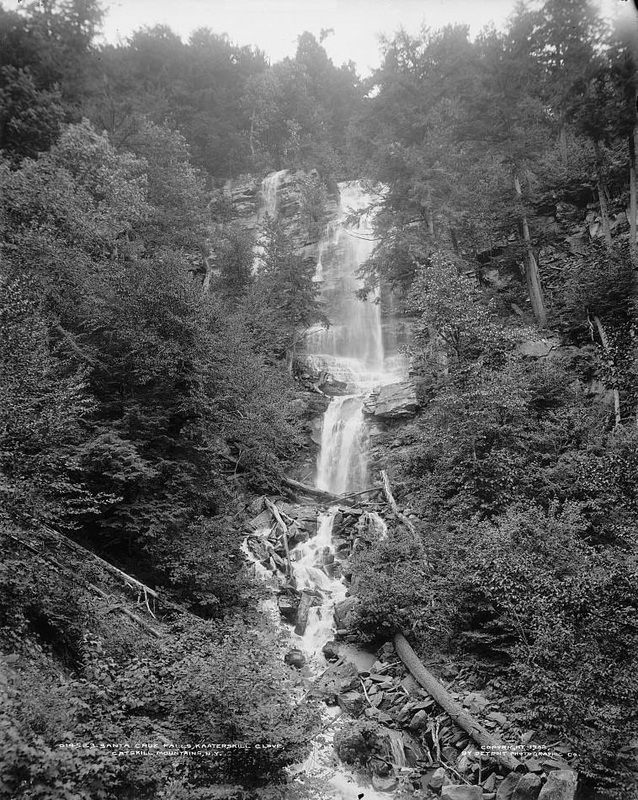 The Kaaterskill stream drops 180 feet to a small pool, where the view from a cabled walkway crossing under the falls was immortalized in a famous Thomas Cole painting. (This "safe" walkway no longer exists.) It then drops 80 feet more to the narrow gorge below." 1920s era Showing Main Street Fountain, Cairo, N.Y.
"In the summer of 1910, a committee consisting of representatives from each company met to start an organization with a set of by-laws and constitution to govern the operation of the department, especially the election of chief engineer and his assistants. The committee proposed a system by which the chief engineer was rotated between all four companies. The proposed by-laws were accepted by the four companies that fall, and the Coxsackie Fire Council was formed." 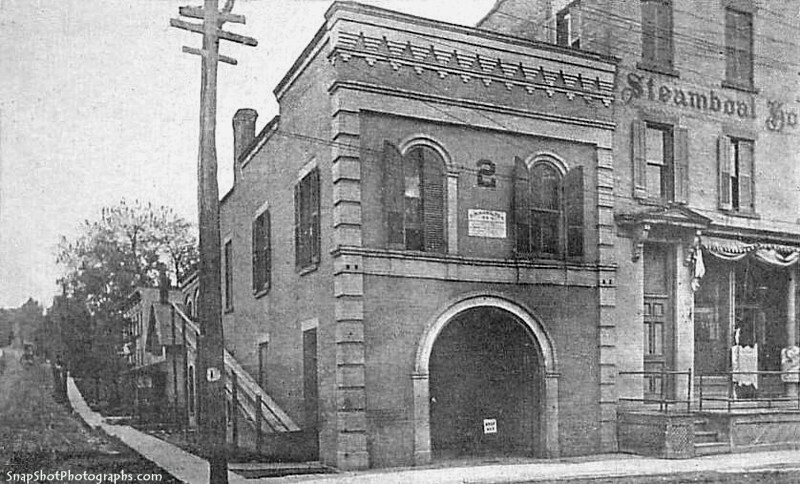 "The Coxsackie Fire Department has officially existed since the incorporation of the Village in 1867, and initially consisted of only Hudson River Engine Company #1 which was formed in 1860. When the Village was formed, the new trustees published a new set of By-Laws and more than 35% involved the fire department. The duties of the chief engineer, hose companies, pumper companies, and ladder companies were laid down even though the Village had a single pumper. 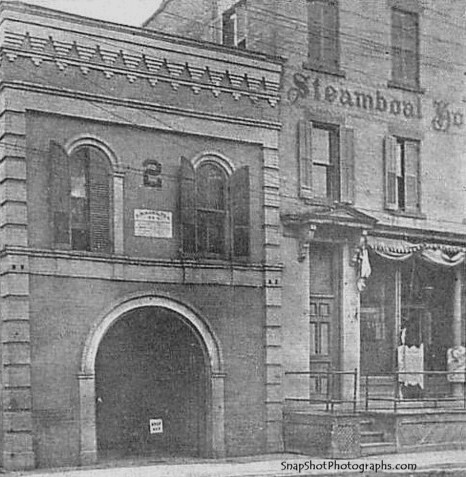 In 1872, a second company was added with the formation of D. M. Hamilton Steamer Company #2; and the introduction of a gravity fed water system in 1894 lead the way to the organization of two hose companies -- Coxsackie Hose Company #3 - 1894 and D. W. Morgan Circa Hose Company #4 - circa 1894."